#GivingTuesday is a glob day of giving. Today only, Facebook and PayPal will match donations up to a total of $7 million. We need your support to continue our work of eliminating cervical cancer. Our work changes the lives of those impacted by cervical cancer. Will you donate today to help us continue this important work. Our community is the heart of our organization. Cervivor Ambassador Morgan shares how we helped her find her place. 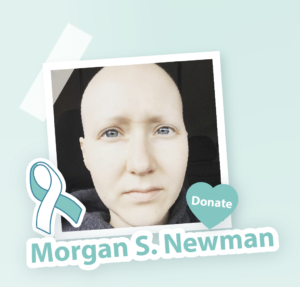 There is nothing worse than hearing the words, “You have cancer.” This is hard for anyone and it is especially hard to hear at the age of 24. There is something special about finding a community after surviving this disease not once but two times. This community is available thanks to caring folks like you. I hope you’ll take the time to read my story – it might even save the life of someone you love. I’m not a fundraiser, I’m a cervical cancer survivor. I was your typical twenty-something just starting her life out. I went in for my yearly well-woman exam. I never missed my preventive visits. The doctor’s office called me to let me know my Pap test came back abnormal for the very first time. I went through several tests only to be referred on to an oncologist. It was then that I received those three life-changing words, “You have cancer.” My family and I were shocked and scared. I went through treatment including chemotherapy and radiation. I made it through all of it and at a routine scan appointment they told me there were suspicious lesions in my lungs. More tests were done, and a recurrence of cervical cancer was confirmed. Chemotherapy was started once again and after five long months I was considered all clear from treatment. I never thought I would out live that second round of cancer but I’m glad I did. I found an incredible community where I fit in. Cervivor has given me the gift of using my experience to help others. I have gained credible knowledge from various professionals to educate and prevent this disease for future generations to come. Today, I have purpose in life after cancer. I have remained in a no evidence of disease diagnosis. I’ve been given the gift of Cervivor to share my story and make a difference. I’ve had the opportunity to sit on discussion panels to educate providers from a survivor’s point-of-view. I’ve lobbied on Capitol Hill to ensure we have proper screening guidelines, and I’ve incorporated the knowledge I gained from Cervivor School of the human papillomavirus (HPV) into my career as a dental assistant. I feel extremely fortunate to represent Cervivor! I’m hoping you will join me in helping to provide this same support for women like me. Please send a gift to Cervivor today so we can educate and prevent this disease. As a cervical cancer patient who almost lost her life twice, I can tell you that your contribution will make an impact on others. You will give them an incredible gift. 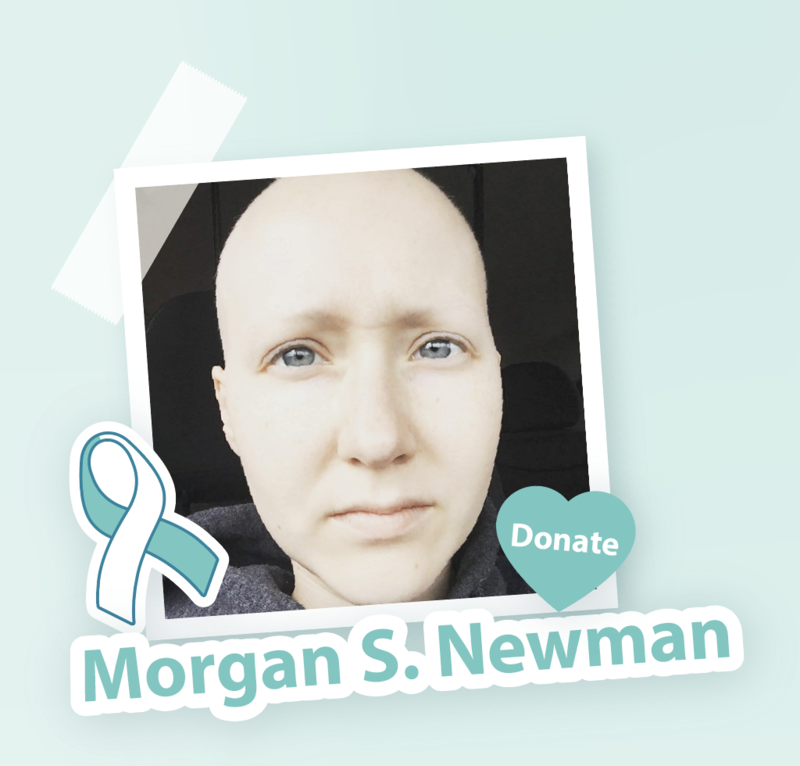 Donate to Morgan’s #GivingTuesday fundraiser today via Facebook or directly on our website via PayPal. 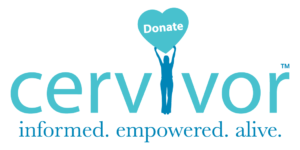 Your donation supports our entire community of cervical cancer patients and survivors – a place where we provide learning tools, advocacy resources, and an online community for women who are looking to network and thrive. Some women will choose to connect for sisterhood, while others will choose to become advocates for early detection and prevention of cervical cancer. We are working hard every day for these women who need our support now more than ever. 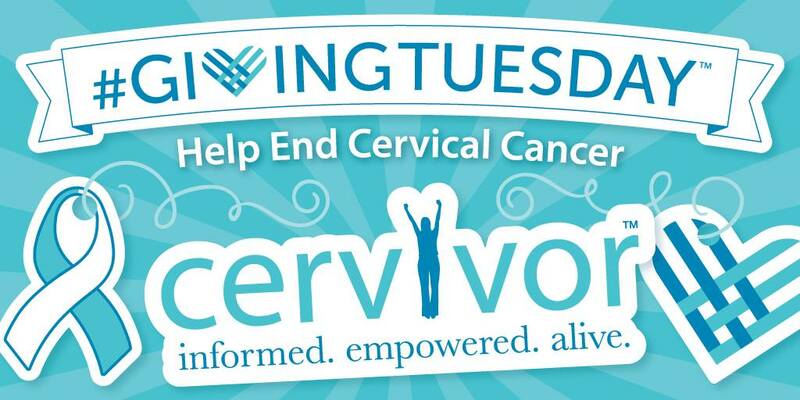 This year alone, 13,000+ women in the US will be diagnosed with invasive cervical cancer; and 528,000 worldwide. Even though cervical cancer is now fully preventable through vaccination and regular health screenings, more than 4,000 women in the US and 266,000 globally will die this year of cervical cancer. For us here at Cervivor, that’s 4,000 women too many. Through education and advocacy, we hope to be the generation to end cervical cancer. With your continued support, we believe we can do just that. Thank you once again for your friendship, your donation, and for supporting the mission of Cervivor.